I am a software programmer by nature and it's been more than 15 years since I started this job. I have used many computer languages over the time thus been able to appreciate how much the process of writing software programs has developed and improved. I am happy to be part of this evolution. However, I dare to say that one thing has never changed since the beginning (and perhaps never will). It's just hard to build a software. Well, to be more precise, it's hard to build a software that works just fine. Why there are always so many bugs in the software? Have you ever worked on a project that was finished on time? I often feel like an artist when making a software. There are always so many ways how to do it and I need to have good imagination when building the virtual world of classes, objects, methods and all the other things, which are available in particular computer language. And the purpose of this blog is to share some parts of this virtual world. 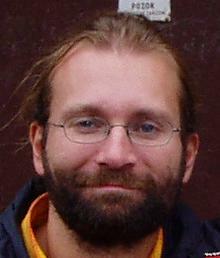 My name is Jan Odvarko and I am currently leading the Firebug project. I was also co-founder and Chief Software Architect of AllPeers. Firebug is well know Firefox extension originally created by Joe Hewitt and now maintained by FWG. I have been contributing to Firebug project since 2007 as part of my work for Mozilla. Firecookie is an extension for Firebug that makes possible to view and manage cookies in your browser. HTTP Archive (HAR) is a format specification that can be used by HTTP monitoring tools to export collected data. We have designed this format together with Steve Souders and Simon Perkins in order to create a common base for existing applications. Adopted by all main HTTP tracking tools. HAR Viewer is a web application based on HTML/JS/CSS that can be used for visualizing HTTP Archive files. This project is intended as an extensible tool for preview and validation of HAR logs that can be also embedded in third party systems. NetExport is a Firebug extension that allows exporting all collected and computed data from the Net panel. Of course, created log is based on HAR. The extension can be automated and integrated with systems for page load performance analysis. ConsoleExport is Firebug extension that allows exporting logs from the Console panel. The export can be also automated (e.g. send to a server), which makes this extension suitable for systems that need seamless feedback from the client side (browser). CCDump (Cycle Collector Graph Analyzer) is a Firefox extension that allows to analyze the current Cycle Collector (CC) graph. CCDump can be used to search within the CC graph and execute queries to get the information you need. The extension helps to find memory leaks.